Toys. They’re everywhere these days. Although their natural habitat is a well-organized chest in your child’s room, they frequently migrate to places like the living room, kitchen table, the car, your bed and of course, directly under your feet in a dark hallway in the middle of the night. It isn’t as hard as it seems. Just read our newest article on the PBS Parents website, and you’ll learn about five distinguishing characteristics that can help you spot the perfect toy in no time. 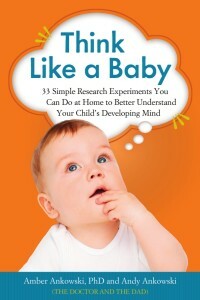 If you enjoy the other things we write – like this website, or our fun book of science experiments you can perform on your own kids – then you’re going to love this article too!